As promised, there is (at least) one more story in the pictures included in our two posts on sugars (which you can find here (part 1) and here (part 2). After the saga of the sugar cane photos from Mexico, our two writers Ana McGuinness and Charles O’Brien still needed a main image, and here is how it came about. 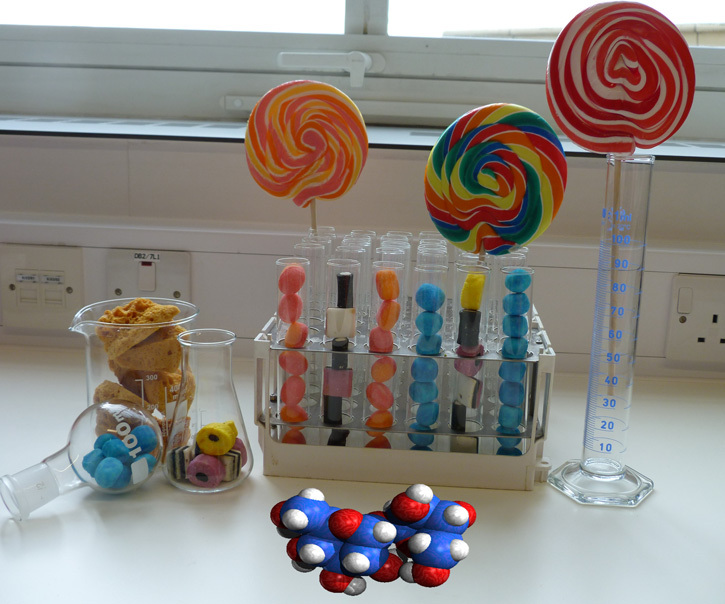 Assorted sweets in common laboratory glassware, together with a molecule of sucrose in front.